Everyone knows that insulation is an important part of every home. Fiberglass and cellulose are the most commonly used insulations and has been an industry standard for many years. But times are changing! Energy bills are increasing! The old standards are costing homeowners like you thousands of dollars every year! 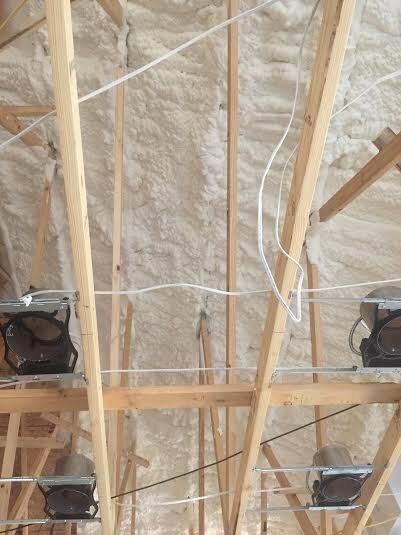 Why should you choose spray foam insulation? Because it will save you money! You will be astonished by the reduction in your heating and cooling bills, allowing you to spend your money how you please. It will create an air barrier, keeping exterior moisture and unconditioned air outside! It will help create a comfortable indoor environment by reducing outside pollutants, allergens and noise! 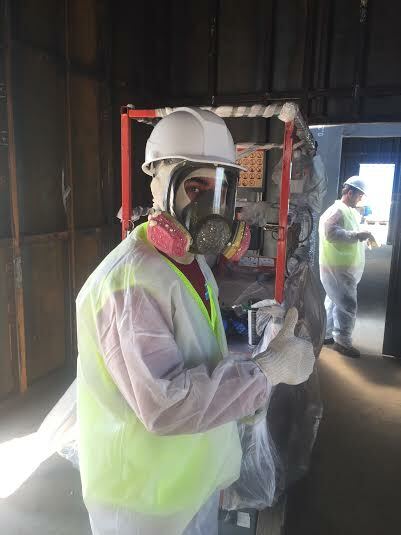 Spray polyurethane foam insulation is a proven technology that has been in use for over 25 years in commercial, industrial and residential buildings. 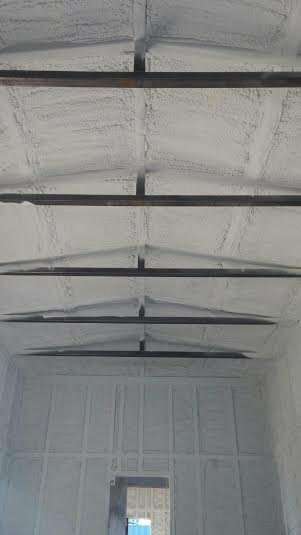 Spray foam helps to seal all of the gaps, cracks and crevices in your walls and roof, unlike traditional insulation. No money down zero Interest Loans. Save between 30%-60% on your power bill. Put more money in your pocket. In most cases the homeowner will save more on their power bill than their monthly zero interest loan payment will cost them. Indoor Air Quality is a term used to describe the characteristics of the air breathed by occupants of an enclosed environment. It is generally agreed that poor indoor air can adversely affect health and productivity. These costs to industry have been estimated to be in the "tens of billions of dollars per year" (Report to Congress on Indoor Air Quality, 1989). Improvements in the indoor air environment may substantially increase moral and productivity. Therefore, it is important to include indoor air quality controls in operation, maintenance, and energy conservation strategies. Indoor air pollution consists of toxic gases or particles that can harm your health. In the last several years, a growing body of scientific evidence has indicated that the air within homes and other buildings can be more seriously polluted than the outdoor air in even the largest and most industrialized cities. Other research indicates that people spend approximately 90 percent of their time indoors. Thus, for many people, the risks to health may be greater due to exposure to air pollution indoors than outdoors. 1 Poor indoor air quality can cause, or contribute to, the development of chronic respiratory diseases such as asthma and hypersensitivity pneumonitis. In addition, it can cause nausea and fatigue. People who already have respiratory diseases are at greater risk. The construction of tighter homes without fresh air supply can allow the indoor air quality to deteriorate to harmful levels. It is not easy to identify a single reason for the indoor air quality because of the number and variety of possible sources, causes and varying individual sensitivities. A few of these factors are contaminants, bacteria, molds, pollen, and viruses. These contaminants may breed in stagnant water accumulated in places such as humidifiers and drains. Chemical contaminants can be from indoor or outdoor sources, e.g. cleaning substances, gasses, tobacco smoke, etc. Houses constructed with a leaky building envelope can allow particles of dust, dirt and other airborne chemicals to enter. Substances such as pesticides, smog, etc., may be drawn into the building from outdoors. Where moisture and dirt are present, the potential exits for biological contamination such as mold. High humidity levels contribute to the proliferation of molds. Common problems or failures that occur include musty odors, mold growth, window condensation, structural rot, back drafting appliances, damp basements, build up of ice on roof edges and high utility costs. Many asbestos products containing formaldehyde can be found in homes or other buildings, including roofing and flooring materials, as well as wall and attic insulation. Plywood and carpets are contributors of pollutants that can have a negative impact on indoor air quality. Insulation is another major building product that has a long term affect on the air you breathe. Environmentally-safe foam insulation will allow you to insulate your home or building without harmful emissions, which improves the indoor air quality. It provides a relatively dust-free environment with very little air leakage.